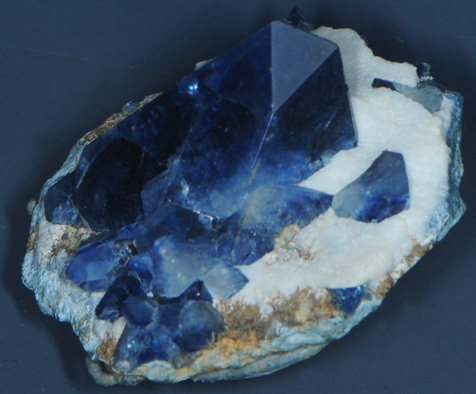 Benitoite is a silicate which contains barium and titanium with composition BaTiSi3O9. The sample above left is about 3.5x3.5 cm. 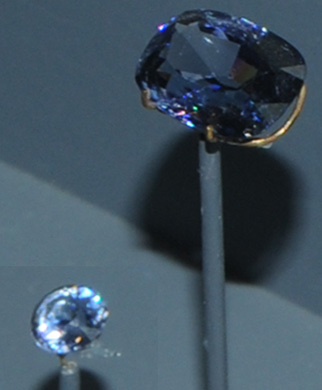 The benitoite gems are 1.1 and 7.7 carats. They are from San Benito County, California. They are on display at the Smithsonian Museum of Natural History. 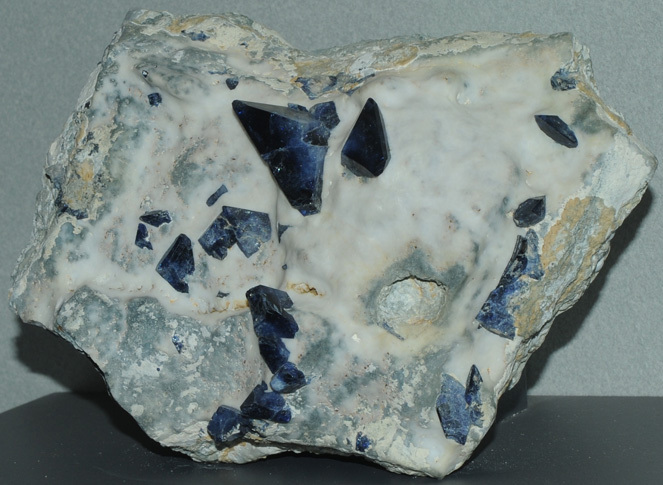 This benitoite sample is about 12x8 cm and is described as benitoite with natrolite. It is also from San Benito County, California.